Please read the following booking conditions carefully, as they set out the terms and conditions of the contract between you (the Client) and Mozambique General Sales Agents (hereinafter referred to as “Mozambique GSA”) We act as booking agents for the suppliers of the component parts of the holiday we organise, and as such, bookings for their services will form a direct contract between you and the relevant supplier, and will be subject to that supplier’s standard terms and conditions. a) The costs associated with travel arrangements are not always stable, and currency movements can fluctuate sharply. It is impossible to predict these movements in advance. When you book a package through us, we reserve the right to pass on any surcharges or increases to you. Surcharges may be imposed to cover increases in transportation costs, including the costs of fuel and security charges, taxes or fees chargeable for services such as landing taxes or embarkation or disembarkation fees at airports, or exchange rates applied to the particular package. b) Mozambique GSA guarantees the price of land arrangements; only once full payment is received. c) All packages are subject to the prices and conditions quoted by the particular airlines and hotels and cannot be guaranteed by Mozambique GSA. The onus is on the agent & the passenger to check that there have been no changes in these prices before making final payment thereof. d) Should the client make a group reservation & subsequently the group numbers deviate from the minimum number required for the booking, Mozambique GSA reserves the right to re-cost the price and raise a surcharge. Should any client refuse to accept and pay such surcharge, it may result in cancellation of the booking and forfeiture of all payments made. a) Credit Cards: We can accept payment by Visa or MasterCard only. We need a signed and validated Credit Card Charge Form. In the case of a Travel Agent, the agent acknowledges that s/he has seen the card and that the signature on the card is the same as that on the Credit Card Charge Form. If the card is a foreign credit card then you may be requested to supply various other details. Please note that should the rate or package be a special or discounted rate, there may be a 3 % surcharge payable on Credit Card payments. b) Cheques: Bank issued cheques or travel agency cheques only (accredited agencies only). Please note we require 7 working days to clear all cheques before documents can be issued. c) Cash or EFT Transfers: We accept EFT transfers, or cash deposited into our bank account, subject to condition that the EFT transmission report or the cash deposit slip is provided to ourselves and such payment has been confirmed as received by ourselves. It is strongly advised that all clients take out adequate insurance cover such as cancellation due to illness, accident or injury, personal accident and personal liability, loss of or damage to baggage and sports equipment. Mozambique GSA will not be responsible or liable if the client fails to take adequate insurance cover or at all. It shall not be obligatory upon Mozambique GSA to effect insurance for the client. Please note that various credit card companies offer limited levels of travel insurance, which Mozambique GSA does not consider sufficient cover for travel to Mozambique. Kindly check with the respective credit card companies in order to obtain specific details of the cover. Flight timings are provided by airlines and are subject to Air Traffic Control restrictions. All means of transportation are subject to weather conditions, the need for constant maintenance, and the ability of passengers to check-in on time. There is no guarantee that flights or ferries will depart at the times stated on any itinerary or tickets which you receive. All timings are estimates only, and we do not accept any liability for any delay, however arising, or for any schedule alterations. It is your responsibility to ensure that you reconfirm the departure date and times of all your flights at least 72 hours prior to departure. This is particularly important in respect of subsequent journeys once leaving South Africa and Mozambique GSA hereby specifically excludes any liability for any delay and/or loss as a result of your failure to reconfirm any flight and/or connecting flight. a) Documents (vouchers, itineraries, etc.) are only prepared on receipt of full payment of the package price, and signed & completed Booking Form, and will be ready 24 hours after payment has been received. If booking through a travel agent, normally they will arrange collection of your documents. b) Should you require your documents and air tickets to be forwarded to either yourself or the departure airport this may be arranged by your agent with us. However, the courier costs in respect thereof will be for your own account. c) It is important that you check all details of your travel documents (including your itinerary) before leaving South Africa. If there are any inaccuracies on any of your travel documents, or should you have any further queries, you should contact your travel agent or Mozambique GSA immediately. Mozambique GSA will not be liable for any delay and/or loss occasioned as a result of any inaccuracies on any travel documents once you are in receipt thereof and you have left South Africa. The Department of Home Affairs in South Africa recently announced new regulations for child travellers. Under the new regulations parents travelling with children are required to produce an unabridged birth certificate for children under the age of 18. This is in addition to the child passport. The new regulations will be implemented 01 October 2014. 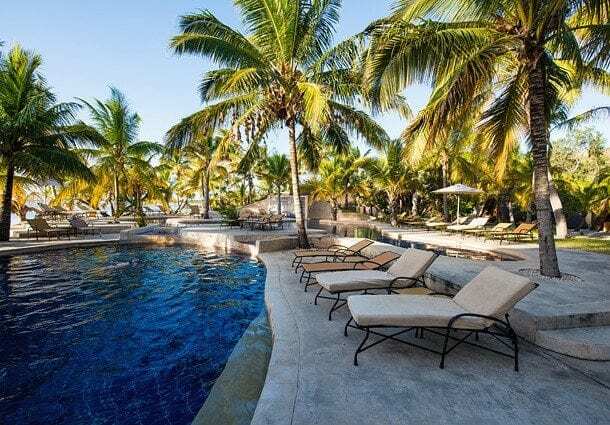 In the unlikely event of there being an unscheduled extension to the holiday caused by flight delays, bad weather, strikes, or any other cause which is beyond the control of Mozambique GSA, it is understood that the expenses relating to these unscheduled extensions, (hotel accommodation etc. ), will be for the account of the passenger. Mozambique GSA accepts no liability for changes, omissions or delays before or during the course of any holiday occasioned by technical difficulties, weather conditions, strikes or communication breakdowns or the like. a) If you wish to make a change to your booking we will endeavour to assist you to make the change wherever this is possible. You will be liable for all charges, whatever kind, imposed by the suppliers providing that component part of your travel arrangements when amending a booking any time prior to departure. Fares will be re-quoted at the time of amendment. b) An administration fee of R 100 per person may be charged for each amendment and / or cancellation, at the discretion of Mozambique GSA. This fee being over & above any additional costs incurred in the changes to hotel & airline bookings. c) After departure it is understood that extra expenses incurred as a result of any change will be for the client’s account, and any unused service will not be refunded. d) Amendments and cancellations en route must be made with the operators directly. a) Where your booking includes a special fare, the relevant charges are levied by the airline. In some circumstances this may be 100% of the total fare, regardless of when cancellation is effected. c) Mozambique GSA charges a cancellation fee equal to 20% of the package price on any finalised booking. 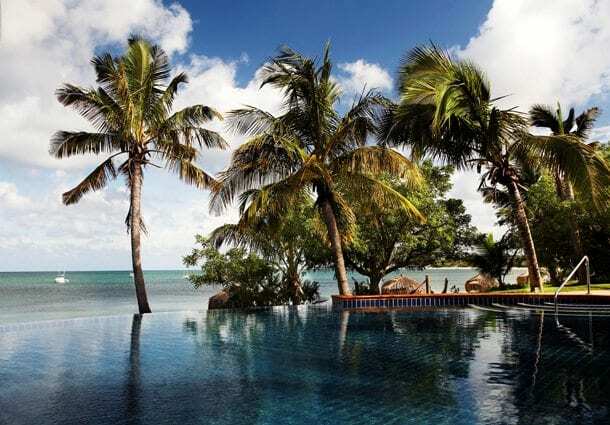 However, Mozambique GSA reserves the right to charge a cancellation fee of up to 100% of the total package, in its sole discretion, in particular circumstances. Any monies, which you have already paid to us, will be taken by us as payment or part payment of any cancellation charges. a) A significant change to your travel arrangements would include a change in the departure date from South Africa; where the flight times are changed by more than 12 hours or a change to a lower standard of accommodation to that which is booked. In these instances of significant changes to your travel arrangements Mozambique GSA undertakes to advise you thereof as soon as reasonably possible before your departure date to obtain your further instructions in this regard. b) All other changes are minor changes. A minor change can be made at any time and, if practicable, we will advise you of any such change prior to departure but we are not obliged to do so. Such minor changes may be made by Mozambique GSA, in its discretion, who will not be responsible or liable for the payment of compensation to you as a result of such minor changes. c) Every effort is made by Mozambique GSA to adhere to confirmed itineraries; however, we reserve the right to make changes to your travel arrangements when it becomes necessary to do so. d) Should any travel component be confirmed by Mozambique GSA and this component is cancelled by the supplier for whatsoever reason, then in such instances Mozambique GSA will accept no liability for the cancellation thereof. e) Mozambique GSA reserves the right to cancel a tour prior to departure due to insufficient numbers or other unforeseen circumstances. a) Refund policies of the various airlines vary greatly. Tickets returned to Mozambique GSA will be presented to the relevant airline for assessment. Should a refund be authorised, such refund will be made to you, less any cancellation or administration charges. b) If payment for the ticket was made to Mozambique GSA by credit card, the refund will be made to your credit card. Cash payments will be refunded by EFT. c) Partly used tickets will be refunded at less than the pro rata rate on the face value of such ticket. e) Unused tickets must be returned to Mozambique GSA for a refund within one year from the date of issue or they will be regarded as expired by the airline and have no refund value. b) If you are still dissatisfied, you must notify Mozambique GSA immediately to enable us to resolve the problem. Failure to give us the opportunity to resolve any problem at the time it occurs may result in either a reduction, or complete extinction, of any rights which you may have to claim compensation. c) If you remain dissatisfied, contact the Manager within 28 days of the unsatisfactory service, giving your booking reference and full details of your complaint on email: INFO@MOZAMBIQUEISLANDS.COM or fax to 086 540 1219.
d) Whilst every effort will be made to resolve your complaint to your satisfaction, it is specifically recorded that Mozambique GSA in no way accepts liability for any claim. It is entirely the clients duty to ensure that all passports & visas are current, valid, obtained on time and that any vaccinations, inoculations, prophylactics (e.g. for malaria) and the like, where required, have been obtained. Passports must be valid for 6 months after return to South Africa. Please check the requirements with your travel agent before travelling. Mozambique GSA will endeavour to assist the client but such assistance will be at Mozambique GSA’s discretion and the client acknowledges that in doing so, Mozambique GSA is not assuming any obligation or liability and the client indemnifies Mozambique GSA against any consequences of non-compliance. It is the clients’ duty to familiarise him/herself with the inherent dangers of and mental and/or physical condition required for the proposed travel arrangements. The client must ensure that the details supplied to Mozambique GSA mirror those details shown on their passport for travel. Citizens and nationals of all countries, except citizens of the following countries: Botswana, Malawi, Mauritius, Swaziland, South Africa, Tanzania, Zambia, and Zimbabwe, require a visa when travelling to Mozambique for Tourism. Border visas are only issued to people travelling for purposes of tourism. If a person is travelling from a country which has a Mozambican consulate which issues visas then a tourism visa can be applied for before date of travel, or the Visa can be obtained on arrival at certain border entry points. People travelling for tourism purposes without obtaining a Visa in advance must present on entry: a passport with at least 6 months validity and several blank pages; a return air ticket (for air travelers); an invitation from family / friends that they are visiting or a confirmed hotel reservation. a) Taxes: Mozambique GSA will advise you of all mandatory taxes, which you must pay before departure. However, many countries charge departure taxes that can only be paid locally. It is therefore recommended that you retain sufficient local currency to meet such charges. Details of departure taxes can be obtained from the relevant airline when you reconfirm your flight details. b) Special requests: We can pass on any special requests that you may wish to make at the time of booking, but acceptance of such requests is at the discretion of the airline, hotel or other supplier and in no circumstances are special requests guaranteed. Confirmation that a special request has been noted or passed on to the supplier, or the inclusion of the special request on your confirmation invoice or any other documentation, is not confirmation that the request will be met. d) Renovations: Hotels undergo renovations from time to time and take all possible steps to limit disruption to their guests. We will not entertain complaints or requests for refunds if a hotel is carrying out renovations whilst a guest is resident. If we are specifically advised of renovation work, dates may be provided. It is important to remember that these are subject to change and we are not always notified. e) Charges to your credit card: Any charges made to your credit card whilst away are your responsibility. Mozambique GSA will not be responsible, nor accept responsibility for having these charges reversed or corrected upon return to South Africa. Mozambique GSA act as agents only for hotels, transfer companies and airlines and accordingly accepts no liability whatsoever for any loss, damage, injury, accident, delay, or any other irregularity howsoever arising. Mozambique GSA makes every effort to ensure that all the arrangements and services connected with a passenger’s itinerary will be carried out as specified in the most efficient and effective way possible. However, we do not have direct control over the provision of services by suppliers and, whilst they are in all cases selected with the utmost care, we do not accept liability for errors and omissions of such suppliers. The contract in use by such suppliers (which in case of airline is often constituted by the ticket issued by the Principal), shall constitute the sole contract between the supplier and the client and any right of recourse the client may have, will be solely against the supplier. Mozambique General Sales Agents shall be entitled, at its option to institute any legal proceedings arising out of or in connection with this contract in any Magistrate’s Court having jurisdiction in terms of Section 29 of the Magistrate’s Court Act N o 32/1944 as amended, notwithstanding that the amount in issue may exceed the limits of such jurisdiction. This document together with the Mozambique GSA invoice / itinerary constitutes the sole record of the agreement between the parties. No party shall be bound by any representation, warranty, and promise of the like not recorded herein. The client acknowledges that he/she has not relied on any matter or thing stated on behalf of Mozambique GSA or otherwise that is not included herein. No addition to the Mozambique GSA standard booking conditions shall be of any force or effect unless in writing and signed by or on behalf of the parties. All costs and disbursements, including all legal costs incurred by Mozambique GSA in recovering any damages and payments payable by the passenger to Mozambique GSA shall be for the clients’ account. This agreement shall in all respects be governed by and construed in accordance with the laws of South Africa. The client hereby consents to the jurisdiction of the Magistrates Court having jurisdiction over its person in respect of all proceedings in connection with this agreement.